The team at Rick Fuller is absolutely awesome! I worked with Shelby Seeley as my buying agent, she did a great job in finding the home that fit all the wants and needs of my family! Buying a home can be very stressful, but Shelby and her team made this such a pleasant experience. From our first meeting and throughout the entire process she was very accomodating to my needs. I will highly recommend her to anyone planning to purchase a home! I trust Rick Fuller and his team completely. I have had the opportunity to work with Rick and his agents multiple times with mutual clients, and I can say that he always operates with utmost integrity and he is highly knowledgeable and experienced. Whether you are buying or selling, you can count on Rick Fuller to deliver outstanding results and represent your best interest. Julie Jackson did an AMAZING job assisting us in buying our first home. She made the entire process seem super easy and was excellent about explaining each detail along the way. She provided feedback and insight on what she believed was a good direction to follow when we were faced with tough decisions and always kept great contact with us. I HIGHLY recommend anyone who is looking to buy a home to seek her out because she did an phenomenal job with us! I have known Rick for over 20 years. He’s one of the most ethical and professional Realtors that I have ever meet. We have done several real estate transactions together and I have always had a great experience working with him. In my first time home home buying experience, I used Rick Fuller Inc. real estate agent Julie Jackson. She was AWESOME!! Julie was very kind, diligent and flexible. Even though she was more familiar with the east county housing market, she was willing to look wherever we wanted. Julie would always be in contact with us and if we had any questions she would just be a phone call away (She always answers). I always loved how Julie never pushed us to do or see anything we did not want to. She really wanted us to be happy and to not settle for anything we did not love. Thank you sooooo much Rick Fuller Inc and Julie of helping us finding our dream home. I would recommend Rick Fuller Inc and Julie to anyone looking for a home. Arizona and was very pleased with the service Wendy provided and how she kept me informed on the progress on almost a daily basis. Did I mention the house sold in 3 Days! What a wonderful experience!!!! Dealing with Rick Fuller and his team was so enjoyable! My 82 year old mother was selling her home and due to her age she was often confused and stressed but Rick was calm and amazingly patient with her throughout the whole process. He was very careful to explain every detail of every document to her and made sure she understood what she was signing. He checked in with her often to update her on the progress of the sale. I cannot say enough about how much I appreciate him and his team. My opinion….they are by far the very best Realtors in the area!!! Our lease is due in 2 mos. Rick really make sure that we get what we need and get us updated on any listings available in the market and or any property that was not yet in the market. We were so happy and grateful when we got an answer in 2weeks. They are very detailed and handled every transaction in a very professional and friendly atmosphere. We got a our new place before our lease ends. Thank you so much and God bless. The bottom line is Rick really knows the market. We were selling our primary residence in Pittsburg after being relocated, for job purposes, overseas. Even though we were thousands of miles away, Rick made sure we never felt distant, always keeping us up to date, always responding to our emails in a very timely manner (usually within minutes, never more than 24 hours). Moreover, when our house wasn’t selling as fast as wanted, he walked us through various strategies and their implications, so that we were always taking informed decisions. In the end, we were able to sell our house faster than other properties on the same block who had been on the market longer for the same price or even lower. Rick was able to manage that even though we were not physically present to help, and even though we had tenants living on the property at the time of sale. I highly recommend him. I am a fellow Realtor who met Rick Fuller about a year ago through a networking group. I was immediately impressed with both his unflappable demeanor and his exceptional track record. In the Antioch area and surrounding cities, he has amassed a book of wildly satisfied clients that most agents would sell their soul just to have a 10% share. 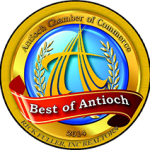 I don’t service the Antioch area, so since I met him I’ve had the opportunity to refer three of my cherished clients to Rick and his team. His performance was nothing short of excellent, as I expected. All of the clients thanked me profusely for the referral. If you have a home to buy or sell in the Antioch area or surrounding cities, look no further. Everyone else will be second rate in comparison. I have a rental property and didnt have the time or energy to advertise, show the home and screen tenants. Rick Fuller was a God send from start to finish! In addition to being thorough in explaining the process, his office advertised our rental home on several websites, accepted applications and our property was rented within a two week period. I would highly recommend Rick Fuller for any real estate needs. A+ to Rick Fuller and his staff! I am so glad I chose Rick to help me sell my property. He was always professional and helpful. He always kept me informed and up to date. He really took a lot of stress out of the process. He definitely deserves 5 stars. Rick Fuller is a very knowledgeable, accommodating and professional real estate agent. My family and I have bought every home of ours through him. It has been a pleasure to work with Rick since 2006. He has always answered all my questions very efficiently and made all my home buying/rental a smooth process. I will highly recommend Rick and will always approach him for all my real estate purchases in future. Rick is a great agent to work with. He is very professional, responsive, patient and detail oriented. I have enjoyed working with him and Shelby Seeley. They are a full service agency that provided excellent services. Rick has done an amazing job to help my parents locate quality tenants for their rental property. He is knowledgeable, patient, thorough, and prompt. I would definitely recommend him to anyone who is searching for tenants and wants to avoid all the application and legal hassles that can come with the process. It’s nice to have a helpful hand in these sensitive matters, and Rick is just the guy for the job. Rick Fuller was incredible to work with. After facing many difficult obstacles previously, Rebeca (who’s also an amazing realtor at the agency) connected me with Rick and he made this a positive experience. Was very professional, very detailed , patient, and always had a positive attitude. He was very efficient at keeping me informed on the process, and was always available when I needed questions answered. His staff was also very helpful and kind. I would definitely work with Rick again and I would recommend him to anyone is need of a realtor. My husband and I recently sold our home with Rick Fuller as our agent and are in the process of buying another through him as well. We love the service he gave us while we were selling our home and looking at new properties. He gave us great information and took extra time with us when needed. His regular updates on the homes helped keep us informed with where we were at in the process. We would recommend him as well as the wonderful ladies in his office that showed our home to their clients and during the open houses they hosted. Shelby Seeley did a great job finding our new house. We let her know what we wanted our new place to have and she was successful. She worked hard and always kept us updated. We were looking for a rental in Summerset and our agent, Shelby Seeley, was on top of it. She informed us immediately when something became available. We are now in a place that fits us perfectly and we have Shelby to thank for that. She works hard and is easy to work with. My wife and I were looking for a home that could give us a place to be caregivers to our mother. With his help We found the home and Rick walked us through every detail and helped us buy our home in Oakley, Ca. Honesty and Integrity and his willingness to go the extra mile got us through! Thank you Mr Rick Fuller! I am fortunate enough to have had multiple dealings with Rick Fuller and his team of the years. The most recent was the selling of my residence in Brentwood. I really don’t know where to begin without sounding like I must be a family member. Rick and his team are on the ball, if the there is a question they answer it, if for some reason they don’t know the answer immediately they don’t try and blow smoke up your….they tell you I don’t have that answer let me get it and I will call you back! I would never say “go with Rick and you will never have an issue”, anyone who has ever had a transaction would know that is a lie, but I would say that if you are with Rick and an issue occurs because of his experience and attention to detail you will never have a problem! I am not saying this because Rick Fuller is Family! But he will treat you like you are his! Great to work with! Rick Fuller is very knowledgeable, efficient and detailed. I have worked with him many times and appreciate his professionalism. He is easy to get in contact with by phone or email. Great work ethic and very responsive. Two thumbs up!!! About three years ago Rick and Wendy helped me purchase my first home. I was new to the area and did not know where the good or bad parts were, but Rick and Wendy found me a beautiful home in a wonderful area. They did such a great job that I went back to them when I needed to sell my home two years later, they put my house on the market right away and before they had a open house I had around 6 offers. I ended up having around 11 offers and the house closed around a month from when it was put on the market. I am now in the market to purchase a home again and for the third time I chose to go with Rick fullers office. Wendy has been such a pleasure to work with and found me a home. Thank you so much Rick and Wendy, when the time comes to sell my house I will be coming to see you. My wife and I worked with Shelby Seeley on our home purchase and I can say it was a great pleasure having her help us through this process. Shelby was very professional and prompt to respond on all matters during the experience. At all times she had our best interest in mind and in the forefront. Thanks Shelby!! Rick and his team are the best. They helped me sell my house while I am living out of the country. He answered any questions I had and made himself available when ever I had any questions regarding all the forms that had to be filled out. He treats your house as if it his own. Nice to see. Thanks, Rick! Having sold properties in 5 states, I’ve worked with many agents. I’m impressed and thankful for the excellence, professionalism and skill provided by Wendy Shearer and the Rick Fuller team. I received great advice and dependable follow up from Wendy. She astutely navigated a multiple offer situation, that exceeded my expectations. On top of that, it has been a pleasure to work with Wendy and the team. Rick Fuller is very professional and efficient . He gave good advice and resources to sell my home quickly and with minimal hassle. He gets the job done! Great experience having Rick Fuller as our Realtor. We have used him to buy two houses and sell one. We would recommend him and the ladies at his office to help anyone wanting to sell or buy a house. They are prompt and helpful. They also give your home great exposure on multiple sites and social media. Rick Fuller and his team was very knowledgeable and friendly. Within 7 days of putting the house on the market we had 11 offers. Everyone was so helpful to us, and now Shelby is helping us find a new home. We would strongly recommend Rick for all your real estate needs. Absolutely top notch ! We recently sold our home with Wendy Shearer at Rick fuller and our experience couldn’t have been more remarkable and impressive. Wendy was incredibly professional and attentive and her expertise was crucial to the swift sale of our home. I couldn’t possibly recommend this realty group more. If you are selling or buying a home in the area this is the firm you want. As a 1st time home buyer, Julie Jackson & Christine Davis walked me through the loan & buying process. I was kept informed every step of the way. They made my home buying experience such a breeze & less stressful. Rick Fuller, you have an awesome team in Julie & Christine…. thanks a million. I was referred to Rick Fullers office by another realtor due to Rick’s knowledge and expertise within the geographical area I was looking to purchase a home. After meeting with Rick, I began working with Shelby Seeley and she was great!! Shelby was very patient, knowledgeable, and provided input that assisted me with the purchase of my new home. Due to my work schedule being Monday-Friday 9-5, Shelby was willing to meet me after work hours to see home’s I was interested in and she was always available to answer my questions. I will definitely use Rick Fullers office in the future. Rick provided excellent and thorough service. I would recommend Rick to anyone who is selling or buying a home in Contra Costa area. His knowledge of the market made everything proceed smoothly and efficiently. Rick really knows our area. I kept calling him the king of the Far East Bay. He did a tremendous job and turned a normally complicated, tiresome process into a smooth one. He has my highest recommendaction. If you are looking to sell in Antioch, Brentwood or Pittsburg look no further. I keep seeing new homes listed by him all over the place. I think he had 12 listings going while working our deal. But you would never know. We felt like his only clients. Rick really knows our area. I kept calling him the king of the Far East Bay. He did a tremendous job and turned a normally complicated, tiresome process into a smooth one. He has my highest recommendaction. If you are looking to sell in Antioch, Brentwood or Pittsburg look no further. I keep seeing new homes listed by him all over the place. I think he had 12 listings going while working our deal. But you would never know. We felt like his only clients. I would consider Mr. Fuller the best of the bests. He was punctual and very thorough. He provided very valuable suggestions for improving the house’s appearance. We received three offers over the asking price in less than two weeks. I would recommend Mr. Fuller to anyone. A well deserve 5 stars!! I worked with Shelby Seeley on purchasing my first home. She is very professional, replies promptly to any questions, and goes the extra mile to make sure everyone is on the same page. Thank you Rick Fuller and Shelby for your help! Several times I contacted Rick with Real Estate questions and he researched my requests and submitted to me a report very quickly with the information I needed. When it came to selling my house he presented not only the comparable market value but a list of doable suggestions to prepare and present the home. He is very knowledgeable, efficient, and manages a great team who are filled with honesty and integrity as is he. They work together and stay in communication with each other and with you through your whole sale process. It’s been a very pleasant experience for me & my family to work with them all !! I worked with the buyer’s agent Shelby in Rick’s team. I looked at many properties and often needed her help to obtain house information before we decided to make offers. Shelby always provided the necessary information and services promptly. She never rushed you to make a decision and put your needs as the priority during my home search. When we finally got into contract, she followed up well through the escrow and kept in good contact with all parties involved. With her great help I was able to buy my house and closed the escrow smoothly. It’s a pleasure to work with Shelby and Rick’s team and I would recommend them highly. Fantastic service, extremely knowledgeable, great communication the entire time it took to sell and buy. Always on top of dead lines. Rick and his team are best of the best. Truly appreciate your service. The best of the best!!!! We have used Rick and his team for couple transaction and we received fantastic service. Extremely knowledgeable.. Great communication!!!! We recently sold our house with Rick. I’ve bought and sold homes in a few states and Rick is by far the most professional, honest, hard-working, and ethical realtor. He gave us his thoughts regarding what to do to get our home ready for the market. Once on the market, he answered all of our questions with respect and patience. He sold our house very quickly (after receiving multiple offers). I believe that Rick is someone who takes pride in his work and his word. I highly recommend working with him! Rick and his team came highly recommended. He lived up to his reputation!! Shelby helped us directly throughout the process, which became a long one due to our first offer being on a short sale. Shelby kept us updated and offered her time repeatedly for anything we needed. Her enthusiasm towards finding our dream home never wavered. They were also more than fair on their rates!! Big thanks to the Fuller Team!!!! I could not be happier with the service we got from Wendy. The most important thing to us was keeping us in the loop on everything that happened. She is a true professional and was a pleasure to work with. I reached out to Rick Fuller Realtor on their website after not having any success with the agent I had. Within minutes I received an email and a phone call from Shelby. She was very pleasant and willing to help me in any way possible to achieve my dream of home ownership. To make this review short, I met with Shelby a week later and we were pretty much on a roll from there. Within a few weeks, we were in the process of making an offer on my first home. She made it happen and I’m extatic to say that as of today, I am now a homeowner…a dream come true! Thank you Shelby and the entire Rick Fuller staff in your role in making this happen for my family and I. You all are a wonderful team to work with. Rick,Wendy and Shelby did an excellent job with helping us sell our home and was able to get us into a rental unit while our new home is being completed. From day 1 Rick worked his magic. He came to our home instructed us what we needed to do for our home to sell. Rick took pictures , designed brochure and made a video of our home. Our home sold very quick. Rick in his team worked with us, kept us informed every step of the way. If you are looking for a honest, professional and supportive realtor, Rick Fuller is the man. After the sudden and unexpected death of my uncle, I was tasked with selling his condo. My lawyer referred me to Rick, and after seeing the positive reviews on various websites, I looked forward to working with him. Due to the nature of the sale, it was important for me to complete all of the paperwork in an accelerated time frame, and Rick was incredibly helpful and patient, ensuring all of the details were ironed out for a quick closing. I highly recommend Rick and appreciate his passion for his clients. Rick did a great job while dealing with difficult buyers/agent in a very short turnaround time. I’d recommend him to anyone who wants to sell their home in a very tight market! My husband and I are first time home buyers. Rick Fuller and his team were there every step of the way to make our dream come true. We would give them more than five stars if we could. Our real estate agent Shelby was very dedicated, professional, patient, and informative. She made things very easy for us and she was always honest, and straightforward with us. We also worked with their in-house lender Christine who also was very professional and dedicated. She helped us make sense of the complicated financial process. Thanks to their hard work, we were able to purchase not only our first house, but also the house we were hoping for. It was a pleasure working with them. We would greatly recommend Rick Fuller and his team to anyone in the market, purchasing or selling a home. Rick and his associate Shelby Seeley have done a great job in helping me to locate a house, then help me to connect to the right loan agent, and once the property is closed, they help me to rent it out. They are highly knowledge and efficient in their operations and always respond to their clients promptly. I highly recommend them to anybody. Truly five-star service! Rick is the best. He listed my home and expertly marketed it. I moved out of state and he took care of every detail. Could not have asked for a better experience. Highly recommended! Rick Fuller and his Team are not experts but GREAT team players who truly care about their clients and their clients needs. If you’re looking to buy OR sell, there’s NO ONE better! When I knew I was going to move out of state, I looked for the best realtor I could find. The searches all pointed to Rick Fuller, and I soon found out why. Rick is the consummate professional; very organized and a true expert in his field. He gave great advice and everything unfolded as he said. It was a great experience – my house sold quickly and I’m free to move on to the next chapter of my life. Rick took care of everything and I would trust him to handle any transaction. Highly recommended! 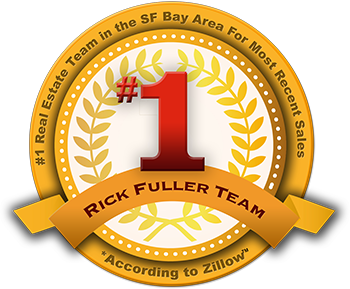 Rick fuller and his team are above any other real estate company I have ever dealt with. They got me exactly what I was looking for in the price range I was looking for. They never tried to change MY mind on what I wanted and did above the best job imaginable getting me my dream home. True professionals. Amazing person to work with. Him and his staff are true proffessionals and will do anything to get you the property that you desire. I had a short time to find a new home and they not only found me a home but it was also the perfect home. I chose Rick because of his Yelp reviews, and I’m glad I did. Rick is super organized, polite, has a great staff, Most importantly, he does what he says he’s going to do. I couldn’t be happier with him as an agent (and I flip houses for a living). We had 19 offers on my house in Pittsburg and had it sold within 15 days of accepting the offer. Great agent. Rick helped me and my family rent my parents house. He understood what we were going through and explained the different options we had. He is very professional with a personal touch. I would recommend him with out hesitation. Rick just sold our home in Concord. When the closing was delayed due to the buyers Rick stayed right on them and kept us informed every step of the way. He also works with a great escrow company. I would recommend Rick and use him again for a sale in this area. Through the years we have bought and sold a few homes. I must say that without a doubt Rick Fuller is the best I have ever seen. He is honest, caring and attentive to his clients. We need more like him. I needed to sell my home and sell it fast. I was very worried and not sure what to do. Someone told me about Rick. We talked and he told me he could help me. I decided to give him a chance. I took his advice and much to my surprise, he listed and sold my house. Not only did it fund in a little over 1 month but he got me $15,000 over my asking price. My advice is don’t waist your time with any other realtor, Go with the best, Rick Fuller. There’s a reason he’s #1. Rick is very professional in the way he communicates with his client and the way he negotiates with the buyer. One would feel that he is fair both to the seller and buyer, while protecting his client to the best of his knowledge and ability. The countenance and presence he possesses are exactly the qualities of an agent you want to be represented by. His knowledge, work ethic, and drive to succeed will assure you that things will get done. Overall, it was just a wonderful experience working with him. We couldn’t be more pleased by the professionalism, integrity, and expertise that encompassed all of our interactions with Rick. He took the time to explain things thoroughly and kept us updated every step of the way during the sale of our home. It was a pleasure to work with him and we will definitely use him in the future for any of our real estate needs. It’s a pleasure to work with Rick. He is professional and kept the the selling of my property well on track in every process despite some unexpected appraisal issues. He resolved the issues quickly with his expertise and made the transaction move forward successfully. He is there to help if there are any questions or needs. I would highly recommend Rick without hesitation. From our first preliminary meeting, Rick presented himself as a professional with a keen understanding of how to run a successful real estate business, how to proactively represent his clients, and how to maintain productive lines of communication between all parties to the sale. He had a clearly spelled out marketing plan that when supported by his knowledge of current market conditions, provided what we felt was the best price we could have obtained in the sale of our home. Rick Fuller is clearly at the top of his game and our choice for a hearty recommendation to his potential clients. Shelby…you were fantastic. I didn’t think buying a home would be as easy as it was. I would recommend Rick Fuller’s Agency if you are planning on purchasing a new home. Your electronic notifications of homes coming on the market was so easy for me to find just the perfect home for me!! Again thank you for all you have done to assist me with what I thought would be a difficult task. Rick Fuller is an more than an ordinary real estate agent. He absolutely is a top notch professional in the real estate field. His handling of the sale of my deceased brother’s property was taken care of in a completely professional, competent, and detailed manner. I could not have asked for a more engaged and trustworthy individual. I am very used to moving having moved 17 times during my lifetime and this was the 6th House that I had sold. I found Rick through Dave Ramsey’s website as an endorsed local provider (ELP). My wife and I interviewed Rick who was accompanied by Wendy and we were particularly interested to hear and discuss in detail his Marketing strategy. It was very impressive and we thought would be particularly effective. The house went on the market 04 Dec 2014 and we closed 07 Jan 2015 just 34 days later and that included the Christmas and New Year holidays. I truly believe Rick got us the best price possible, within 11 days we had 4 offers (3 above the asking price and all cash offer just short of the asking price). Rick is extremely professional keeps things moving along and is very respectful and polite and went the extra mile to assist us in some other matters that were outside the scope of our agreement. I have already recommended him to our neighbors and friends for when they decide to move. Thanks Rick, you and your team were outstanding. I have had the opportunity to refer many people to Rick and his team and they always come back and thank me for introducing them to Rick. The most common things I hear back from the people I send is 1. that he took the time to answer all my questions and to explain things to me 2. He laid out multiple options and explained the benefits and or negatives associated with each problem. 3. He followed up with what he said he was going to do. 4. They felt that Rick was being honest with them and was there for their best interest and not his. Keep up the good work Rick, you truly are helping a lot of people. Rick Fuller IS your next real estate salesman. He is both professional and personable. He cares about his customers. We were fortunate enough to have Rick help us and he made the process as easy as possible. I would use him again and you should use him as well. Rick Fuller is no amatuer, they dont call him realtor rick for nothing… where do i start? He has amazing communication skills and he explained everything we were confused about in a way we could understand it which was nice. He is very professional, very knowledgable about the everchanging market in and around Antioch. Before listing our home, he suggested affordable upgrades which improved our curb appeal and our house showed so much better! He marketed our home very well. We had an ad on many differest websites, full color high quality fliers and postcards, and they were beautiful. He always kept in contact, returned calls promptly, always on time, and he even handled my anxiety and I, which is a terrible combination, very well. We sold our house and we can thank realtor rick for it. Wendy and Shelby, who are agents on his team, are both great as well. Wendy Shearer is our buyers agent and Shelby Seeley hosted our open house. Thanks to them all, i still have my sanity. After selling/purchasing 9 properties in 3 states and Canada; Rick ranks as one of the best agents we’ve worked with. Rick brings knowledge, excellent negotiations skills and is a font of support and resources to handle every issue and challenge in selling a house. We had a challenging 1031 exchange transaction which requires a short time frame to sell/buy to avoid significant taxes and a tenant. Rick recommended local vendors for all inspection issues, found a rental for my tenant and was an excellent negotiator for all contingencies and vetting the best offers. Rick is very responsive and often communicated the same day for all our questions and immediately responded to any questions and concerns by myself and the buyer. He knows how to market and gain the best traffic on all major websites for properties listed by him – I listed, sold and closed escrow on my home in 2 months. Rick is ethical, honest and knowledgable – the best combination of skills and expertise needed for buying and selling properties. I highly recommend him to anyone who’s seeking an effective and responsive agent. Rick and his team are always quick to serve. They take the time to listen to your goals and dreams and do everything in their power to find you the house of your dreams. We own an older home which has needed a few repairs and different types of work done in the past few months. Rick Fuller has been a great resource sending us to an electrician, a roofer and a concrete company for work in our backyard. They have been knowledgeable and charged fairly for their work. I would trust Rick for any real estate project. Whenever I send my clients to another professional I need to be really careful. If they have a bad experience…it reflects on me and my professional judgment. I have sent several clients to Rick to sell their properties. Without exception they have all reported back a great experience that was professional, caring and very responsive. The clients I send Rick have usually experienced a recent death in the family. Therefore, they need extra care and attention because as we all know, when a loved one dies we aren’t usually at the top of our game. Rick understand this and will take the time with his clients to get the job done right with the proper amount of hand holding. He has artfully handled some sticky family situations and kept things moving. When the time comes for me to sell my house and buy a new house I will not hesitate to hire Rick for my family. He has taken care of all of my clients as if they were family and brought great results to each situation. In addition to treating his clients professionally, Rick is very involved in his community in several ways. Whether it’s passing out food to the needy or making sure all of the foster children have a great time at camp, Rick (and his family) are very involved in the community. If you want a realtor who will show up on time, deal with you professionally, get you the best result and give back to the community….hire Rick Fuller. Rick Fuller is a true professional! He did a phenomenal job listing & selling our existing home. Top notch buying agent Shelby Seeley worked tirelessly with us to help us find/purchase a beautiful home. Her level of professionalism and dedication is unlike no other. Rick’s team handled all the details to make the smooth transition. We couldn’t be more pleased with the entire process. It’s a blessing to find this blend of professionalism, personality, integrity & dedication. We highly recommend Rick’s team as someone who will be your personal guides to a great real estate transaction. Rick Fuller and his team are the best! It was a great experience working with them. Rick is very knowledgeable. He helped me sell my house and treated my family and I with the utmost respect. He was able to sell my house to the first and only family he showed it to. He is the one and only realtor I would recommend to my friends and family. Rick was super with us and our home purchase. He has great insight, offers his opinion when asked and never let us down. Extremely knowledgeable, professional and responsive. Rick did thorough market analysis and helped us out on appraisal report issue we had. He goes the extra mile to make sure all questions are answered and understood. He is just very professional and honest. He is highly recommended by all our friends and is very well known in our community. Thank you Rick for making our home purchase easy breezy! If you’re shopping around for an agent Rick is your guy. Rick sends me daily notifications on properties I might have interest in, quickly arranges viewings of selected properties and conducts expert negotiations with other agents and sellers. I’ve already recommended him to friends and co-workers who are highly satisfied as well. IMPRESSED WITH RICK’S PROFESSIONALISM AND KNOWLEDGE!!! He took his time to explain all the paperwork in detail, always available for any questions and doesn’t mind going over things several times. He is helping us with investment home purchase and is making this transaction painless and headache free. He also gives us great recommendations on several other business needs. Overall Rick far exceeded all of our expectations and will be sure to use him again and definitely recommend his services. Rick Fuller is an excellent real estate agent. He is patient, hardworking and very meticulous in his work. If you hire Rick Fuller, you don’t have to worry about anything after that. He will make sure all the inspections for the property are done timely, he will be available to answer all your questions and the contracts he write up are flawless. I have purchased/sold 3 properties with Rick in the last 10 years. We also bought our latest property in San Ramon with his help and once again Rick has proven to be the best real estate agent in the Bay and true friend. Thank you Rick. Hope to work again with you soon. Rick is knowledgeable, proactive, patient and helpful at each step of the home buying process. I definitely recommend Rick to all prospective home buyers who wish to have a smooth and stress-free buying experience. Thank you Rick! Glad to have worked with you and look forward to working with you again. Rick Fuller and his team are awesome. We recently sold our home and bought a home with their help. Rick sold our house. He did a great job helping us present our home. He’s very knowledgable and professional. We also had the pleasure of working with Wendy who helped us find our new home. Wendy is great to work with. She listens to what you are looking for and helps you find exactly that. She is very friendly and easy to talk to. Our experience with them was very smooth and fast. My wife and I were recently looking for a home to rent and we had the good fortune to look at a property offered by Rick Fuller. It was perfect and we really wanted to rent it. We aren’t really used to working with management agency’s as we’ve both worked directly with landlords in the past. We were a bit nervous about the whole application process, credit checks etc,.. However Rick made it all easier, he was courteous, responsive, communicative and over all very very helpful. We’ve now been at our new home for a month and it suits us perfectly. We couldn’t be happier! We would definitely recommend working with Rick a Fuller in your own home search. Rick is an amazing person and a pillar of the community. I am a teacher in Antioch and he came in and spoke to my college and career prep 8th graders and provided them with more information and guidance than I could ever could do alone. He is honest, upfront and extremely educated and approachable. He even offered to come back and help the kids with their business plans for a project. I would use his services and I would trust him with the very important job of buying a home. Rick just found a lease tenant for our residential rental in Concord. He marketed the rental very professionally and kept us informed every step of the way. He gathered all the information that was necessary for us to make an informed decision and choose the right tenant. We rented a property through Rick. When I indicated I wanted to rent, he immediately got started with providing the exposure needed to advertise it , He was very patient and detailed when going through the plethora of papers for our rental agreement. He made every effort to find me the right tenant. Rick Fuller of Rick Fuller Realtors, Inc, provided the best real estate experience I have ever been a part of. He was extremely patient, paid very close attention to me and my family’s needs and was very determined to make the real estate process as smooth as possible. In addition his staff was very attentive, provided regular updates on the status of the sale of our home and carefully walked us through the process so we were never lost. Rick was also very instrumental in finding us a new home and me and my family are in a home we are truly happy with. His knowledge of the area and his connection to the local community was a true benefit to us in a search for a home. I know that we were not his only client, however he made it seem like we were the most important people whenever he was with us. He really gave 100%. Thank you Rick and thank you to everyone in your office for helping us with our real estate transaction and seeing us through from beginning to end. Rick and his staff, Wendy Shearer, Linda Spencer and Angelic Dunning, are amazing! We gave Wendy a tall order but Rick was able to find just what we wanted. Their combined knowledge and how they explain it will make you actually understand what is going on every step of the way. We would recommend them to a first time buyer or an investor. Rick is so professional yet personable, he communicates so clearly and makes you feel that you have put your business in the right hands and that your business is his most important business. His team is very efficient and friendly. Rick and his team just closed escrow on a short sale for me in less than 4 months !!!! Wow!!!! Put your trust in Rick and his team, they will not let you down. Rick is an excellent real estate agent and wonderful person to work with. He always keeps your interests at heart and strives for excellence in the process you are going through whether you are selling or renting your house. He rented m in only mine in days to excellent tenants which he screened thoroughly. Communication is always at the heart to his process and I appreciate his sincerity and knowledge in his business. I will definitely keep him as a life long real estate agent. It is rare to find someone of his high ethical standards. Realtors don’t get much better than this! Extremely knowledgeable, easy to work with, patient, genuine, always available, keeps you posted every step of the way, full of integrity, a leader in the community, an outstanding problem solver, and hands down one of the best negotiators I’ve worked with. I’ve had several friends and family work with Rick as well, and they were all as thrilled as I was with him, his team, and the amazing service they provide. When you’re searching for a Realtor, you’ve got to take just 20 minutes to speak with him and you’ll see right away why we’ve worked with him on several ocasionas, why banks use him exclusively to sell their short sales, and why he is the Broker of arguably the best real estate office in Contra Costa County. Rick gets my highest recommendation! Rick Fuller is the BEST, very knowledgeable in the Real Estate Industry. My experience working with Rick has always been an A+. Rick has passion in what he does,he is very patient, he has integrity, which is hard to find. Rick is a genuine person, that will always look out for your interest first. I would encourage you to set up an appointment with him, if you want to sell or purchase, Rick will get the job done. Rick fuller and his team are awesome to work with! I have had the pleasure of working with Rick as a selling agent on two homes and he exceeded my expectations in every way both times. I have not hesitated to recommend him and have several friends and family that have called on him for their Real Estate needs. If you are looking to buy or sell do yourself a favor and give Rick a call. Excellent Job —- Always Updated My Wife and I whenever anything changed. Never Felt Rushed or Pushed always has helpful advice. We recently had the opportunity to work Rick and his team on the short sale of our home in Antioch. It was the best experience in selling real estate my husband and I have had and during one of the most challenging times in the market and in our lives. He and his team are competitent, knowledgable, available and do the the right thing for their clients. I would not hesitate to recommend Rick to anyone thinking of selling or purchasing real estate! Rick Fuller Just helped us get our house Sold in a very tough market in Antioch. He was very professional and patient with all our Questiions and concerns. I would highly recommend him,Honest,Timely and Efficient. Very Happy with Rick and his team…..
Rick Fuller and his team are absolutely amazing! They just helped us closed a purchase of a house at Antioch. Rick is knowledgable, professional and efficient. He is always ahead of the “game” and always keeps related parties informed. He also thinks ahead and plans ahead. This really ensures that our purchasing experience is smooth. Rick is absolutely the top professional in real estate business to help people fullfill their real estate dreams. He is simply the very best! In one of the most difficult real estate markets in years, I engaged Rick Fuller to attempt to sell my townhouse in Walnut Creek. I was extremely impressed with his expertise, knowledge and understanding of the market dynamics. He immediately launched his marketing plan and within a week of being placed for sale I received several offers. The sale of the townhouse closed within a month from first being offered. Even though I had moved out of California, Rick kept in constant touch with me to inform me of developments. He also went out of his way to ease the signing of documents. Without reservation, I recommend Rick Fuller as one of the best agents in the area. 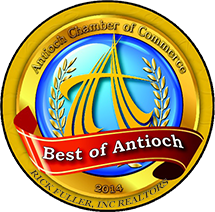 Rick Fuller is outstanding in his work as a Real Estate Broker in Antioch Ca. He genuinely cares about his clients and provides an enormous amount of support. Not only is he supportive and effective during the real estate transaction, he also goes the extra mile to patiently educate his clients on options that most people wouldn’t know of otherwise. A consistent theme you will discover with Rick is that he is thorough and will work with you even in the toughest of transactions. I would gladly refer anyone seeking a positive real estate experience to Rick Fuller. Working with Rick Fuller is a joy. Rick is a very knowledgeable Broker that truly cares about each client. Rick is a man of his word with integrity! He listens and gives you options that you can consider and decide which is best you for. If you have not worked with Rick Fuller you are missing out on the professional that he is. We can not say enough good things about Rick and his team. He is extremely knowledgeable of the real estate market and does everything he says he will do. His follow up was great and paid attention to details. Rick and his team were there for us every step of the way. Thank your Rick and your team for making this experience a pleasant one. I would refer Rick to anyone in need of a real estate agent!!! I have known Rick for many years through our membership in BNI. In 2010, Rick helped me buy an investment property. Given the market conditions at the time and the fact that I was in the midst of a divorce…I was not the easiest client to work with. To say he helped me stay focused is an understatement. He answered all of my questions – often before I could formulate them. I think he might have even warned him team about me because everyone was amazing to work with. Since then, I have referred him to several friends and family members – seasoned in real estate transactions and a couple of very stressed out first time buyers. Every time I have referred him, he has closed the deal and every time I have heard nothing but rave reviews about his expertise, demeanor, attention to detail and ability to be a calming force. Even now, when I am not in the market to buy or sell anything, any time I have a question about something that is going on in the market or someone asks me a question, Rick is the only realtor I ask. My husband and I had purchased a home a couple of years back and our agent was Wendy Shearer. As we were looking to purchase a new home, we knew that we would not want anyone else to be our agent. She is delightful, professional, and trust worthy. Working with her gave us a chance to work through Rick Fuller,office. Rick and staf treat you as though you are family. The services they provide to their clients are un-measurable. Alway stay in touch so you know everything that is taking place in your transactions. I cannot express how pleased we have been with their staff. If I could give them ten stars I would do it. Thank you Wendy and Rick. It has been more than a pleasure to work with you….it has been fantastic. Can’t wait until we do it again. Rick is very professional and has all the knowledge you need from your realtor. He understands the market and helps you get through the whole process. He has great communication skills and is on top of everything. This is what you need from your realtor when you find your dream home, someone that will not drop the ball, and will close the deal. Rick Fuller was recommended to my husband and I by a very close friend of ours and from the beginning of the process he was very helpful and responsive. He along with Wendy Shearer met with us right away during the Thanksgiving holiday to start of search for a new home. We ended up working very closely with Wendy and she helped us and worked with us guiding us through this process. She always took the time to call us and respond to us anytime we have questions about homes or the buying process. She is an amazing and I would highly recommend her for helping you buy your dream home. She was always professional and always on time any day we were meeting to look at homes. She always had the information we wanted about the homes we were looking at and even helped calm us down when we hit a road bump in the process. Even at the end she made sure everything came through for us. Her and Rick have been the best and we would highly recommend their services to our friends and family. We are now in our home for over a week now and we love it and are so thankful they helped make our dreams come true!! When we decided to sell our home in Antioch, we contacted Wendy Shearer and Rick Fuller. Through each step in the sale and purchase of our new home, Rick would inform us of what to expect next, explaining in a way that any person would be able to comprehend. The entire staff at Rick Fuller Inc. kept us informed. We would highly recommend the Rick Fuller Inc. team. Several years ago, Rick helped us sell our first house. Rick was able to give us some great advice about preparing the house and ourselves for the selling process. We were going four different directions with ideas, and Rick was able to give us some clarity of purpose, and help reduce the tension. We had never sold a house before, so Rick’s guidance was very helpful when we started to receive offers with “contingencies”. Rick was careful to balance our desire to sell quickly, with our other desire to get the best price. In the end, we sold the house and we appreciated all the professional assistance Rick gave us. Jeff and Janet J. We are very pleased of the service that Wendy Shearer provided us. She was very professional and was always on time. Wendy also returned or phone calls in a timely manner for the very few times she was unable to answer the phone. She was very attentive to our needs regarding a home. Wendy was very knowledgeable in the area we were looking to purchase our home and obtained all important information needed before making any offer on a home. and knowledgeable. I think everything was done to the Best it could be done. Everything was done well and exceeded my expectations! We selected Rick Fuller because of his honesty and integrity. Rick & Linda were especially helpful – they always got back to us to answer any concerns we had. What we will remember most about our real estate experience is that we were kept informed of how the process was going forward. What Rick did well was getting our house back on the market when the buyer was lost. Wendy was especially helpful because of her patience with me and her perseverance also Linda for her patience and updates. What was done well was the communication and follow through. What I will remember most about my real estate experience is the unique market. We selected Rick because we only heard positive thngs about Rick Fuller. Rick & Linda both were very thorough, organized & pleasant in every aspect of our short sale. Everything we were told was done exceedingly beyond our expectations. In every aspect – from beginning to end we were very impressed by the professionalism and courtesy and effectiveness of Rick and his team. Wendy and her assisting team was very helpful. We will remember how easy it was to work with Wendy, she did a great job of educating us, keeping us informed, being responsible and professional. Why did you select us to assist you: Professional, the best in Antioch. Thank you. You handled everything so efficiently. It was stress free, we love you guys! What Rick Fuller & Associates did well was: Open Communication and Always Professional. I’ve told Wendy that I felt trust in her – that my needs were looked after. I selected Wendy because I heard only good things about Wendy. What went well was the open communication, very knowledgible, great idea of what we wanted. We selected Rick Fuller because we trust him and he does a good job also his team communicates well as they kept us up to date. What I will remember the most is their willingness to help and that everything was done honestly. Katrina was very helpful and efficient. Rick always made us feel like he cared and was easy to get a hold of. We chose Rick as our Realtor because we know him and trust him. What we will remember the most about our Real Estate experience is that we were kept informed about the process. Rick was a calming influence during a very trying transaction. Katrina never failed to get back to us with new information. We would recommend Rick Fuller & Associates to our family, co-workers and friends. stayed on top of the transaction from start to finish! as possible! Communication was excellent! been patient and willing to help in any way possible. kept me in the loop and they were both very helpful! all of the Team Members for a job well done! home….Thanks for all your help. mother-in-laws home. She did an outstanding job! The Team has far exceeded my expectations. I will always remember the ease of everything! our WA house deal afloat! Thank you! detail the most! You did an excellent job! Rick Fuller was great and knowledgeable! again from our whole family. making sure that we didn’t have to worry about anything. you, it was great knowing we were working with the best. transaction and went over our expectations.